The new era of Disney 3-D Animation where girls are fearless, carefree, and fun, yet real is the new direction of the family company. 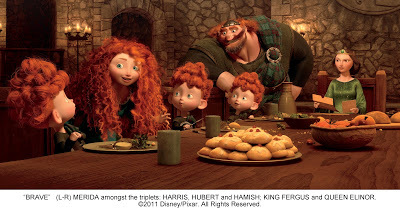 Mainly moving away from the typical princess character to bolder heroines like Merida in Brave and Anna in Frozen — which I briefly discussed last time in our series. 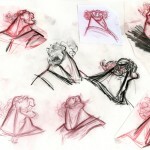 All began back in 2010 with Tangled, a few years before the smart and ballsy Brave ever appeared. 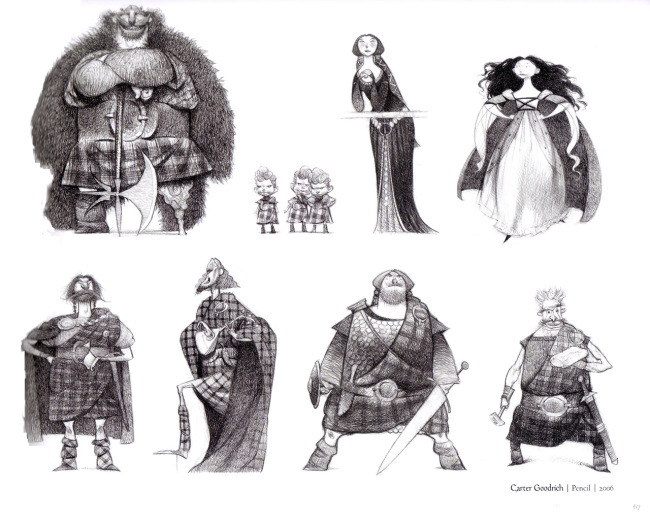 Brave was a departure of sorts for Disney and Pixar primarily based on the director’s and writer’s children. 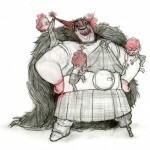 The plot follows princess Merida’s protest to accept her traditional role and be a lady, preferring to shoot bow and arrows and frolic in the Scottish hillside. So she devises a plan that seems simple: use a witch to change her fate, but changing her fate is not as simple as it seems. 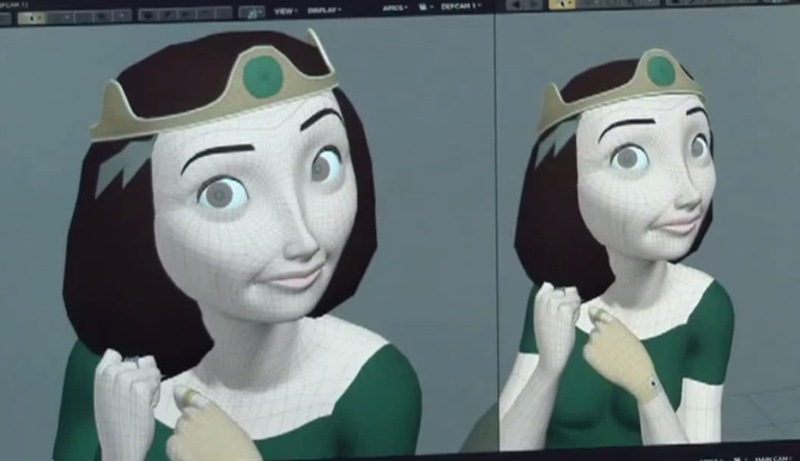 The film originally called The Bear and The Bow at one point is unique from previous Pixar films as it features the first female protagonist. Overall it is a great story with excellent character development and artwork, some of which I have included below. While it never ceases to amaze me how much detail Pixar or Disney puts into their films and this carries over into everything they do, even the merchandise and parks. 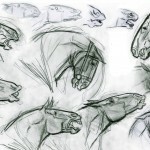 Here are also a few sketches from pre-production. Also this film is great to look at for VFX and 3-D techniques that achieve accurate realism. 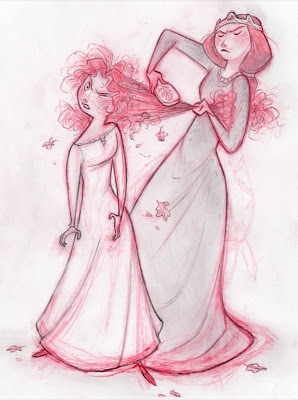 My favorite is Merida’s hair. 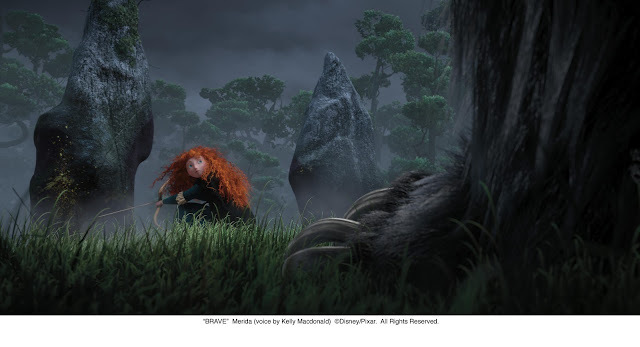 This entry was posted in Special Features, Uncategorized and tagged 3d, animated, art of brave, brave, Disney, Film, heroines, merida, pixar. Bookmark the permalink.